Asked about the continued growth in study abroad enrollments at ASU, Study Abroad Office Director Adam Henry expressed that it is further example of ASU’s commitment to being a global university. “Additionally, being in the top 10 is an incredible feat considering just five years ago we were unranked,” Henry said. The top 10 destinations for U.S. students studying abroad are the United Kingdom, Italy, Spain, France, Germany, China, Ireland, Australia, Costa Rica and Japan. The most common academic programs for study abroad are business and management, STEM fields (including physical or life sciences, health professions, engineering, math or computer science and agriculture) and social sciences. Cynthia Alaffa, a social work major, traveled to Spain through ASU’s study abroad program and said the experience allowed her to work with populations she had never worked with before. “As a social work student, we are taught that it’s not about us, it’s about making sure our clients’ needs are being met,” she said. “Being abroad, I was able to listen to many stories and perspectives. Not only was I able to gain travel experience, I learned about different social work practices of professionals in another country." Nationally, numbers of U.S. students studying abroad grew by 2.3 percent to 332,727 Americans studying abroad for academic credit at their home institutions in 2016–17. In addition, Open Doors 2018 shows that the profile of U.S. students going abroad continues to diversify. The number of students who identify as racial or ethnic minorities who studied abroad in 2016–17 was 29.2 percent. In 2005-06, racial and ethnic minorities accounted for only 17 percent of the study abroad population. Outpacing the national average, 37 percent of ASU students studying abroad in 2016–17 identified as racially or ethnically diverse, including 21 percent identifying as Hispanic or Latino/a. ASU is committed to creating flexible options for all campus-based and online students interested in studying overseas. Most recently, the Study Abroad Office launched short-term program options during semester sessions A and B. This new option allows students to study abroad for six to seven weeks and then return to complete the other session in-person or online. 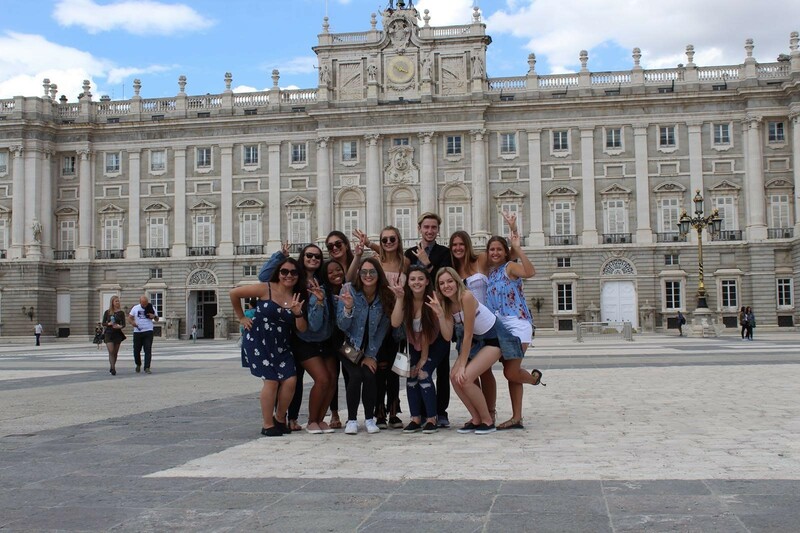 The Study Abroad Office at ASU offers more than 250 program options in more than 65 countries, with program lengths ranging from one week to one year. Financial aid and scholarships are available for students who participate in semester and yearlong programming.